I have been in Costa Rica for exactly one week now and, in four of those days, I have lived with my host family. Adjusting to a new living style, new home, sharing the bathroom with two others, and eating food that I would never dream of eating in the states is much different. As a very type-A “plan ahead” person, the “pura vida” lifestyle has been a bit of a difficult adjustment at times. I have the urge to constantly “go, go, go” and plan everything. After the first day of classes and five hours of depleting homework while running on little sleep, I have finally come to my senses (well… at least somewhat). I believe that this journey is all about perception. Being my own worst critique is what I do best and I want everything to be perfect. Yet, after these four days, I have realized that, in this culture, perfectionism is not a plausible characteristic. Therefore, I have realized the importance of perception. It has been easy for me to become overwhelmed by the work I have to get done, the excursions I have to plan, and the exercise I have been unable to do. But here, I realize, I need to take a step back and change the way I look at things. After all, I have only been here for four days and I cannot expect to know everything or have a set routine. Every day, I constantly remind myself to take a step back and be in the present. Right now, it does not seem like my five weeks are going by quickly. Everything seems frozen and slow, but I am sure that just as quickly as I am writing my first blog, my last one will be coming sooner than I think. I want to urge each of you to try and take one step back and look at the big picture. If you try in your classes, remember that is your best self and that is all you can do. It can be hard to find that balance between experiencing the culture, doing well in your classes, taking care of yourself, and enjoying yourself. The amount of information we have received is overwhelming, but I think back on the beginning of my college journey and the new world I entered. 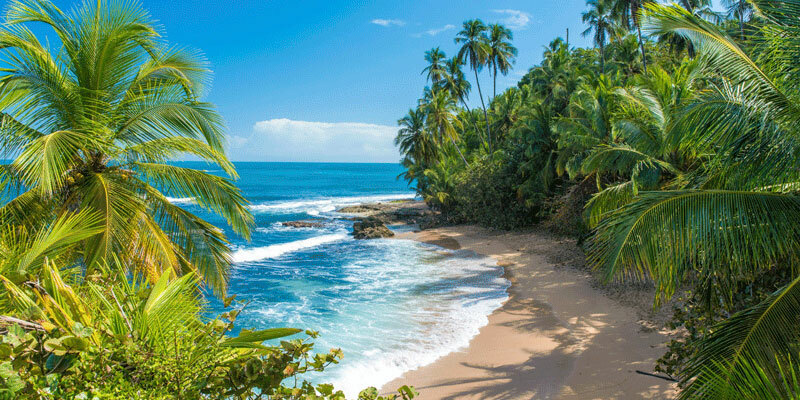 Being here, in Costa Rica, is just like the beginning of anything—it’s different, difficult, overwhelming, exciting, scary, and every other imaginable emotion. But… it’s worth the change of mind. Fight the urge to allow your mind to tell you that you cannot have a great experience. Take it all in and enjoy the casados, frutas frescas, arroz, frijoles, and all other typical foods. You have five weeks, so step out of your normal routine you can return to, open your mind, and live this tranquil life the best you can.